The vast expanse of Disney property covers land from Osceola to Orange County in Florida. The park is enormous and not only owns the amusement part but also a lot of the surrounding resorts. And now, if you get caught with anything less than twenty grams of cannabis, you might not face jail time if you’re in Osceola. Instead, you may only be looking at a fine of $100, officials are saying, after an ordinance decriminalizing small amounts of cannabis was passed unanimously by Osceola County commissioners. Be warned though. If you are in Orange County, they will still haul you to jail. The ordinance only passed in Osceola so be mindful of where you’re at in Disney before you decide it’s a good idea to carry/smoke. Commissioner Brandon Arrington from Osceola said that the new rule would save taxpayers a great deal of money. “There’s an overall lack of funding for mental health in the United States, let alone Osceola,” he stated, on the topic of the profits from the fines being contributed to mental health funding in the county. Osceola is not alone in passing this ordinance. Other counties and cities in the Sunshine state including Miami, Tampa, Miami Beach, Hallandale Beach, Orlando, and Fernandina Beach have all launched citation programs within the last year. In Osceola, officers will now be able to either arrest the offender or simply issue a ticket. “It gives them another tool, another option,” said county attorney Andrew Mai. Officials now have ten days to file the ordinance with the state and it is projected that it will go in to effect thirty days from that. Slowly but surely, cannabis is being decriminalized in Florida. Considering that a few years ago, Florida was considered one of the most dangerous states for cannabis users, this is a huge step in the right direction. Florida will actually give voters the chance to speak on the topic this November, after United For Care collected the required signatures to put medical marijuana treatment programs on the ballot. Hopefully, this time it will pass, as Florida did vote on a medical marijuana initiative back in 2014 but it lost by a sliver with 58% of the vote (60% being required to pass). 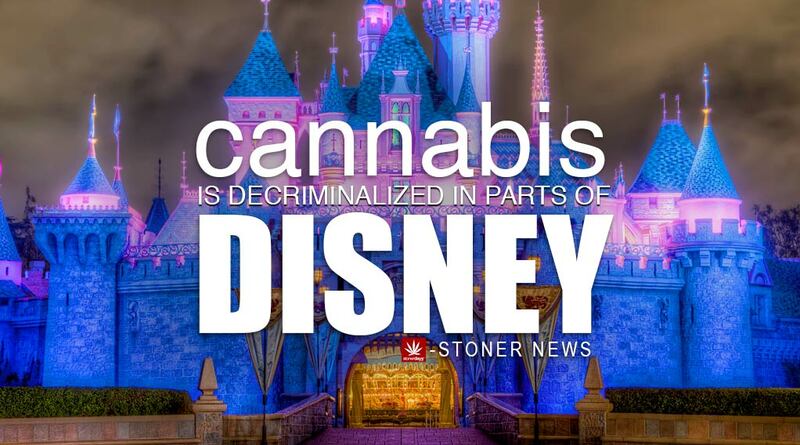 This entry was posted in Stoner News and tagged cannabis, disney.